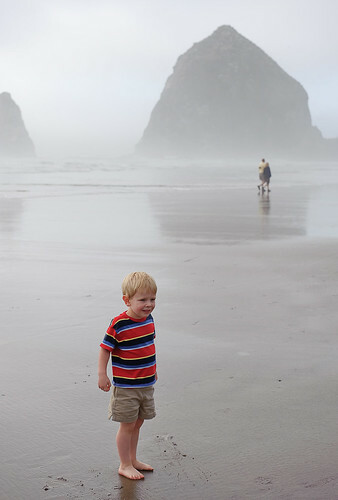 I’ve mentioned how the Seattle heat wave made Cannon Beach clear, sunny, and warm. We did have a couple of more “typical” beach days, too. Even those days were nice, because the mist and fog looked cool. They were more fun days to photograph, too, because whatever colors I managed to get in the frame really stand out.